Welcome to Entwined Bodywork! My name is Carrie Keskinen, LMT. I have 12 years experience as a New York State Licensed Massage Therapist. I’m passionate about helping my clients experience less pain and feel better! I specialize in Myofascial Release, Deep Tissue, Swedish and Sports Massage to help improve posture, assist in the healing of injuries and reduce stress. I am also a Reiki Master, using Reiki (a light touch energy balancing technique to promote relaxation) in combination with massage therapy. 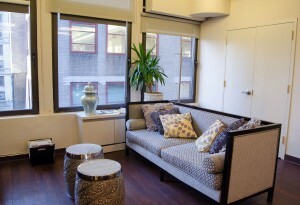 My tranquil massage studio is located in midtown Manhattan in the offices of Audrey L. Halpern, MD, PC. 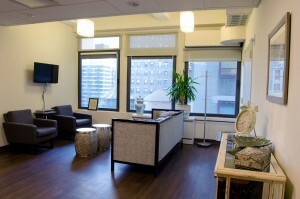 The Manhattan Center for Headache and Neurology. 108 W. 39th St., Suite 1601. I’m available by appointment on Mondays 8:30am – 8:30pm, Wednesdays 2:00pm-8:30pm, Thursdays 2:00pm – 8:30pm, Fridays 2:00pm – 8:30pm, and some Saturdays 9:00am – 1:00pm. Please call 917-699-6874 to schedule an appointment.